Visit the local grocery store in search of toddler art, craft and project raw materials, and the early childhood educator likely finds a wide variety of non toxic, washable paints made for toddler artwork. A dizzying rainbow of colors makes these commercial paraphernalia attractive to young children. Some of these paint paraphernalia are suitable for finger painting, while others are great for the budding artist’s first paint brush. All of them allow for some great kids’ art creations, but do they offer ancillary learning opportunities? In stark contrast, non-commercial toddler art supplies are oftentimes found around the house, in the backyard and in some cases also the baking aisle at the grocery store. When put together, they delight the sense of smell, tickle the sense of touch, please the sense of sight and may even provide some input for the sense of hearing! 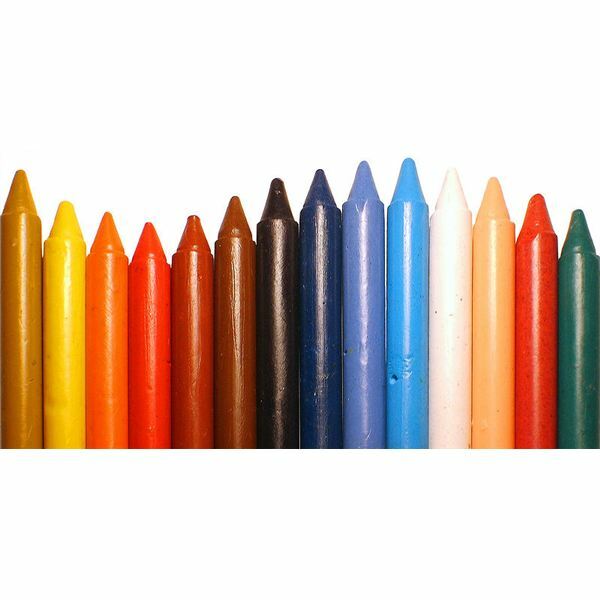 Color variations vary, which can be a bit of a drawback for the toddler who is accustomed to the standard commercial supplies. Do not toss out the bottles of non toxic finger paints in the daycare closet! Excellent for toddler art, craft and project design — also for visually impaired toddlers — the early childhood educator can still use them in the creation of non-commercial toddler art paraphernalia. The same holds true for the paper and also the paintbrushes. This is a splendid opportunity for the caregiver and the toddlers to explore the amazing world of kids’ art together. Inexpensive paper plates, a bit of generic shaving cream and some of the commercially available finger paint all combine to an exciting and educational toddler’s artwork project. If offers all the makings of finger paint with a kinesthetic aspect. Spray a dollop of shaving cream into the center of the paper plate, put a few drops of finger paint in and around the cream, and then encourage your toddler to get creative. Persuade the youngster to squish the shaving cream and mix it together with the paint. For younger toddlers familiar with the cartoon like depiction of the sun, this is a great way of using their fingers to draw straight lines from the center dollop and create their very own sun on the plate. Hint at the sound the shaving cream makes, and show how to listen intently to the little fizzing noise that is barely audible when the paint and shaving cream intermix. The left-over paint on fingers and clothes washes out easily, and the plates may be dried and hung for proud display of the latest art projects. Ask a local restaurant for some paper placements. In the alternative, take a few sheets of sturdy construction paper, preferably white or off white. Prepare homemade finger paint by mixing one cup of white flour with four cups of water and bringing the mix to a boil. After about a minute, take it off the heat and spoon it into four plastic cups. Let the mix cool a bit and add — to three of the cups – a few drops of food coloring. Go for the primary colors: red, yellow, and blue. Into the fourth cup, drop a bit of lemon or peppermint extract, or even a bit of cinnamon. Use a paintbrush and encourage the toddler to follow suit. Paint on the paper and go for long strokes. Suggest that no toddler art project would be complete without some grass and mix together a bit of blue and a bit of yellow paint. Next, mix together a bit of yellow and red, to make orange. This could be used for a flower. Explore what will happen to mixed green and yellow, or red and blue. As the toddler continues to paint and experiment, the visual aspects of mixing and matching colors will soon become so fascinating that s/he is likely to only use the paint brush for mixing, but will rely on fingers to put the paint to paper. Introduce the scented white paint. Encourage a mixing of white and red, for a delightfully odoriferous pink. Continue in this vein until the toddlers’ artwork is created. Let the paper dry, and hang it up. Proudly display toddler art projects in the daycare facility. Parents might not feel like they are running a school, but the home is a toddler’s first classroom. Toddler art is a crucial component of the earliest learning experiences a toddler enjoys, and a glimpse of future school classroom art projects shows just how much is built on the early art experiences a youngster undertakes now. Bright Hub’s own Gabbi 525 wrote an article entitled “Abstract Art For the Classroom: Lesson Plan” and it showcases the importance that color scheme selection has for the successful completion of the artwork. Easy projects are sure to prepare your youngster well in advance of the K-12 classroom. Supervise your toddler very closely and strongly discourage any ingestion of paint or paint covered surfaces.